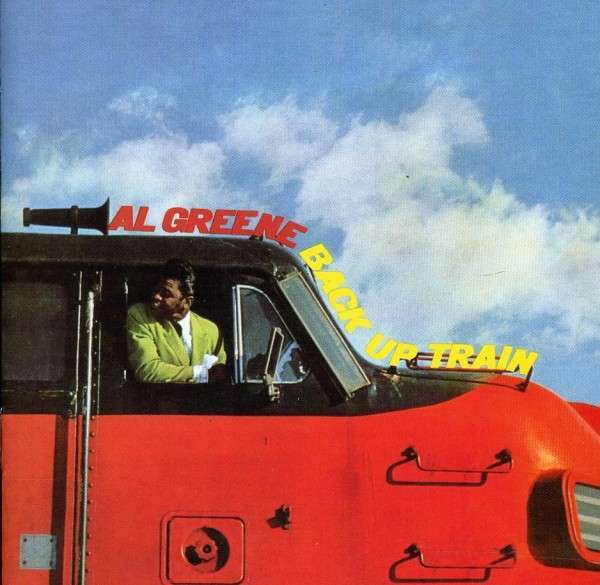 Soul Serenade: Al Greene & The Soul Mates, "Back Up Train"
A lot of things have changed over the years, but some things have remained, albeit in a different form. As I write this I’m on a train headed for New York City. I left Rhode Island this morning for a trip that will eventually take me to Florida and back again. It’s been a long time since I’ve been on a long distance train, and the thought of being on a train for four of the next six days is a daunting one, but what a great way to see the country, get some work done, and just kick back. There are lots of trains songs, and I thought it would be appropriate to feature one this week. Of course “Midnight Train to Georgia” came to mind immediately, but I thought I’d go for something not quite as well-remembered. Al Green has had an amazing career. Just this week he was celebrated at the Kennedy Center Honors. But it all began back in 1967, and for his first single what did he choose? A train song. Yes, Green released “Back Up Train” to get his career rolling. It wasn’t a fantastic start, reaching only the upper reaches of the Top 200 on the pop chart, but it didn’t make a little noise on the R&B chart, where it was Top 40. Albert Greene was born in Arkansas in 1946, the sixth of ten children. By the time he was ten he was singing with his brothers in a group called the Greene Brothers. When he was a teenager Greene moved to Michigan with his family. His family was devout, but Green loved Elvis, and he was eventually asked to remove himself from the premises when he was caught listening to Jackie Wilson. In high school, Greene put together a group called Al Green & the Creations. Two members of that group started a record label called Hot Line Music Journal. By 1968, the group had been renamed Al Greene & the Soul Mates. That was the group that recorded “Back Up Train,” and released it on the Hot Line Music Journal Label. They released an album with the same name but it didn’t do much business, nor did a couple of subsequent singles. Greene’s tenure with the Soul Mates did show some results however. It was while performing with that group that Greene met Willie Mitchell, who eventually invited Greene to join his Hi Records label in Memphis. Before he released his first album for the label, the second ‘e’ disappeared from Green’s last name. That first album for Hi, Green is Blues, had a little bit of success, but it was his second album for the label that made him a star. Al Green Gets Next to You included not only his cover of the Temptations hit “I Can’t Get Next to You,” but “Tired of Being Alone,” a single that sold half a million copies, and earned a gold record. It was the beginning of a streak of seven gold singles in a row for Green over the next couple of years. Green’s success began to fall off as his personal problems intervened. His records still had some success on the R&B charts, but not the kind of crossover success he’d known earlier. It was around this time that Green began to make known his desire to become a minister. In 1976 he was ordained, and became the pastor of the Full Gospel Tabernacle in Memphis. In 1980 he left Hi Records and signed with Myrrh Records, where he would record only gospel music for a number of years. In the late ’80s Green began dipping into the R&B genre again, and he signed with RCA Records in 1993. It was there that he recorded the album Don’t Look Back, with Arthur Baker producing. Ten years later Green was reunited with Mitchell for the album I Can’t Stop, and in 2005 Green and Mitchell collaborated again on Everything’s Ok. Green’s 2008 album Lay It Down was produced by Questlove Thompson and became Green’s first Top Ten album since the early ’70s. Many honors have come Green’s way in recent years. In 1995 he was inducted into the Rock and Roll Hall of Fame. In 2002 he received a Grammy Lifetime Achievement Award, and in 2004 he was inducted into the Gospel Music Hall of Fame. In 2009 Green received a Lifetime Achievement Award at the BET Awards, and on December 7 of this year he was a Kennedy Center Honors recipient. You can still see Reverend Al Green preaching in Memphis on most Sundays. His church is close to Graceland. The second video below is from Green’s appearance on Late Night with David Letterman this week. Obviously he hasn’t lost a step. Popdose Sports: That College Football Playoff Solved Everything, Right?